I stared at the question in my inbox, blinking for at least 10 seconds. “So ignorant!” I thought to myself. The question came from a sincere student, and what it revealed was not his ignorance, but my own. How can I balance my meridians and remove blockages? Or how can I keep them flowing and strengthen them? Do they self balance and clear with daily qigong practice? Thank you for your time in advance! It is appreciated. Let me be clear: I know the answer to Joshua’s question. That’s not the ignorance I’m talking about. Ignorance can mean a lack of knowledge or information, but it also means a lack of awareness. In my case, I don’t lack the knowledge or information to answer the questions above. But I did lack the proper AWARENESS. As a teacher, it’s my job to be constantly aware of what qigong looks like through the eyes of my students, including fresh beginners. That’s not always easy. Like most teachers, I’ve been doing this for a long, long time. Decades. Maybe lifetimes. I’ve studied with masters from all over the world, read hundreds of books, practiced for thousands of hours, and I even went to acupuncture college to deepen my understanding. And yet, as I read Joshua’s email, I saw my own ignorance, my own lack of awareness. Concepts like “meridians,” “energy,” and “blockages” are still completely foreign to most people. It’s MY job as a teacher to make those concepts clearer. And that’s what I’m going to do in this post. Let’s start with the word “meridian”. This word is widely used in acupuncture, qigong, Chinese herbal medicine, and tui na (Chinese massage therapy). The simple translation is “channel”, like a channel that water runs through. In this case, it’s qi, or vital energy, that flows through the channels. But there’s an additional connotation here.The 2nd character, 絡, means “net-like”. So the jingluo are a net-like series of channels through which qi flows. Think of a highway system, with big Interstate highways and smaller roads, all forming a complex network. Except that instead of cars, it’s qi that flows along the network. Note: Even though the word “channel” is a better translation, I’m going to continue to use the word “meridian” because it is already in common usage. Hell, even Google translates the Chinese word to “meridian”. I’m too busy with my teaching to pick a fight with Google right now! I mentioned that your meridians are a net-like series of channels through which qi flows. Qi is THE central theme in qigong, acupuncture, and Chinese herbal medicine. It’s also central in feng shui and tai chi chuan. I’ve written about this in the past (for example here and here), but let’s keep things simple. Qi is your life energy or life force. Whether that’s the energy that moves food through your digestive system, or the energy that mobilizes your immune system, or the energy that powers your cells — all of that is qi. Qi is also information — like data running through an internet network. For example, the information that signals the production of a hormone, or that tells certain genes to turn on or off — that is also qi. This is the “substance” that flows through your meridians. Most of the classics talk about a “flow” of qi. A common analogy is to compare it to the flow of water. In fact, some of the Chinese Medicine classics compare the flow of qi to water flowing from bubbling springs, streams, rivers, seas, or oceans. It’s important to remember that the concept of qi is ANCIENT. It’s thousands of years old. Back then, they didn’t know about protons, neutrons, or electrons. They had no electric lights, no electric cables, and (gasp!) no WiFi. In the 21st century, it’s natural to think of qi as a form of energy, like a current running through a wire. And that’s fine as long as we remember that the ancient masters didn’t have this paradigm. They had a close connection with nature, so that was where they looked for analogies. And I think that these analogies still work today as long as you don’t take them too literally. Speaking of taking things too literally, skeptics love to point out that the meridians can’t be found and therefore don’t exist. It’s true that if you dissect your leg (please don’t do this), you won’t see any acupuncture meridians. But that doesn’t mean they don’t exist. Don’t let 21st-century hubris block you from benefitting from this ancient wisdom. Just because we haven’t understood something yet doesn’t mean it doesn’t exist. Open-minded researchers are doing interesting studies into the meridians, and I believe that the next 10-20 years will confirm their existence. And this study tried to document a new micro-circulatory system that corresponds to classical acupuncture meridians. What would you say if I told you that researchers just recently discovered a whole new organ in the human body? It’s true. In this new study, researchers discovered not only what they think is a new organ, but the largest organ in the body! The new organ, the interstitium, contains tiny fluid-filled structures that can be found just about everywhere in the body. Will this discovery eventually lead to a deeper understanding of the Chinese meridian system? Who knows, but it’s definitely an exciting time to be alive! This raises an important question: How did ancient masters discover the meridians? After all, they didn’t have microscopes or high-tech equipment. How could they possibly have known about such a complex, invisible network in the human body? Years ago, I taught qigong at an acupuncture college. I had both students and professors in my classes. After practicing qigong for about a year, one of the professors had an epiphany. “I can feel my Gallbladder Meridian!” she said excitedly. The same thing sometimes happens in acupuncture. I’ve seen patients talk about a strong sensation running down an arm or a leg. If you ask them to trace the sensation, they’ll trace the meridian almost exactly! How cool! In qigong, feeling acupuncture points along the meridians is quite easy. Most of my students can start to feel this within 1-2 years of practice, especially my Qigong 101 students. For example, acu-points like laogong (P 8) in the palm, baihui (GV 20) at the top of the head, or hegu (LI 4) in the web of hand — all of these points are can be felt even by beginners. At more advanced levels, techniques like the Small Universe Qigong give you a clear and obvious perception of acupuncture meridians. Back to the question about how the meridians were discovered: I believe that ancient mystics began to perceive the flow of energy in their own body. It’s likely that they transmitted their discoveries through oral traditions, and eventually through writing. How can I balance my meridians? How can I remove blockages in my meridians? How can I strengthen my meridians? But qigong is a self-healing art, especially the category called Medical Qigong. With the right qigong method, you can heal yourself, even without a proper diagnosis. My students are always asking me which exercise they should practice for _____ problem. I’ve written about this in depth (click here to read more), but the takeaway is the same. Because of the way this routine is organized, you don’t need a diagnosis, and you don’t need to worry about which meridians are blocked, weak, or unbalanced. But you do need to practice diligently! Does that mean you only need the above routine to heal anything and everything? In the world of qigong, there are many different styles and methods, but there are only 12 different things that you can do with your qi. Different teachers may use different names, but when you boil everything down, the skills are the same. I call these The 4 Pillars of qigong because they form a stable foundation for any holistic qigong practice. If you don’t have this foundation, then advanced qigong skills will continue to elude you. As you become more skillful in qigong, you can use more advanced skills to continue balancing, strengthening, and clearing your meridians. To balance the meridians, you can use: Circulating the Qi (#2), Aligning the Qi (#4), and Mobilizing the Qi (#7). To remove blockages, you can use: Purifying the Qi (#6) and Protecting the Qi (#5). To strengthen your meridians, you can use: Gathering the Qi (#4), Consolidating the Qi (#9), and Transforming the Qi (#10). In other words, focus on learning and mastering the 12 Dimensions and you will have ways to balance, clear, and strengthen your meridians for the rest of your life! Remember that these are skills, not techniques. The techniques may differ from teacher to teacher, but the underlying skills are the same. 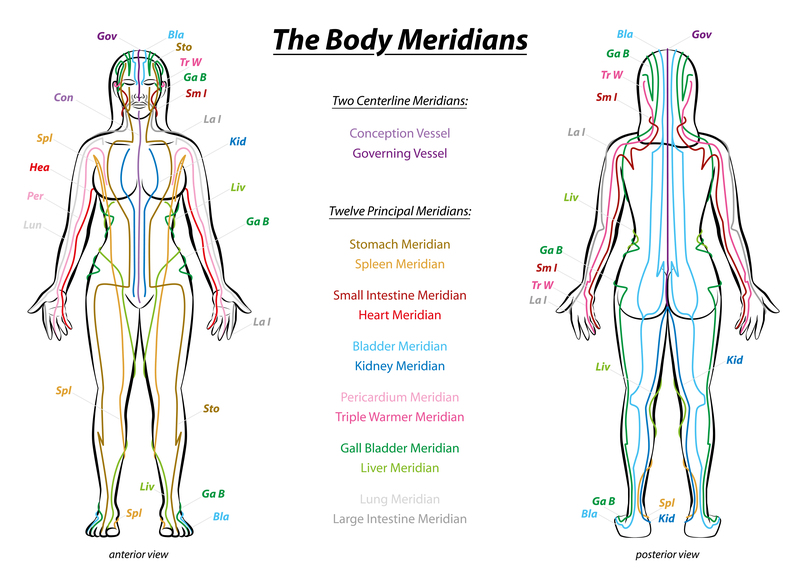 Want to Learn More About Meridians? I hope you found this article helpful. As always, if you have questions, post them below. If you’d like me to write more on the subject of meridians, then please let me know in the comments below. Honestly, I only scratched the surface here. I didn’t talk about the 12 Primary Meridians, the 8 Extraordinary Meridians, or the Yin and Yang Organs. There is a ton of Chinese Medicine theory and philosophy that I can write about, but I need to know if you’re interested in this stuff! So whadaya say? Are you interested? Sifu Anthony, thank you for this very informative and interesting blog on qigong and the meridians. Even though I have practiced qigong and received acupuncture for over 10 years, I know very little about the meridians and how acupuncture works. I would be very interested in more blogs about meridians and Chinese medicine in general. Thank you for all of the time and energy you give us through your blogs! Thank you, Ronda. I appreciate the feedback, and the kind words! I’m glad this was helpful. I am always interested in learning more, reviewing what I have already learned while studying shiatsu a long time ago and applying the knowledge of Chinese medicine to my Qigong practice. Thank you Sifu for taking the time to explain in your usual precise but easy way to understand with clear examples. My pleasure. I’m glad it was precise but clear! Sifu Anthony, your blog on meridians is phenomenal! Although I have been aware of some of this content, all your information, thoroughness and attention to detail are unparalleled. It is such exciting information, and as one of your 101 Students, this information is so helpful to me. It gives me an extra boost of excitement about my own Qigong work! I love to visualize too and this will take that right over the top. Thank you for all that you do and put into your work and your classes! I would love future articles on this topic! Thanks so much, Carol! I appreciate the feedback! Sifu Anthony, Thank you for this blog on meridians that you explain so clearly. I have been aware that there are meridians for many years, but have wished for information and details and better understanding. Please write more as you are able. I appreciate the care and effort that you put into your teaching and writing so very much. Thanks for the feedback and the kind words, Margaret! This was excellent Sifu Anthony. Who, what, when, where and how—-great synopsis of Meridians (channels) for us—with acknowledgement of the “unknown” as still part of this beautiful flow! Heart is smiling! Glad it was helpful, and glad you’re heart is smiling! Thanks for the feedback! I think I heard that the 8 Brocade was decided to be the best qigong set for helping people… How come? It sounds like I’d need to learn more than that. I’ve been at least trying this bending technique that seems to help with my back pain. If this is a question for a person who’s signed up for say the 101 class I understand and will consider doing so. Thanks again Sifu Anthony. John, you have to understand that it’s not about the techniques. When it comes to getting results, it’s all about results. Lots of people practice the 8 Brocades but don’t get the results that they deserve. Learning another qigong set won’t help unless they focus on improving their skill. In my Qigong 101 program, I teach the 18 Luohan Hands rather than the 8 Brocades. I do this because I think it’s a wonderful set for helping students to increase skill. But in the end, I could use any number of qigong sets and still focus on teaching skill. Sifu, Thank you for this blog post. I would be very interested in any follow up on this topic. Thank you for this blog, and yes I would like to see more about the meridians and how they relate to our qigong practice. When I first got interested in qigong I thought that all I had to do was learn a couple of routines with certain moves that I could pick up from Youtube videos and all would be well in my world. Then I read Dr. Jahnke’s books and realized I needed a teacher and from my teachers I learned about how the breath and intention work together with the form. Now it was starting to make sense, but there’s more! 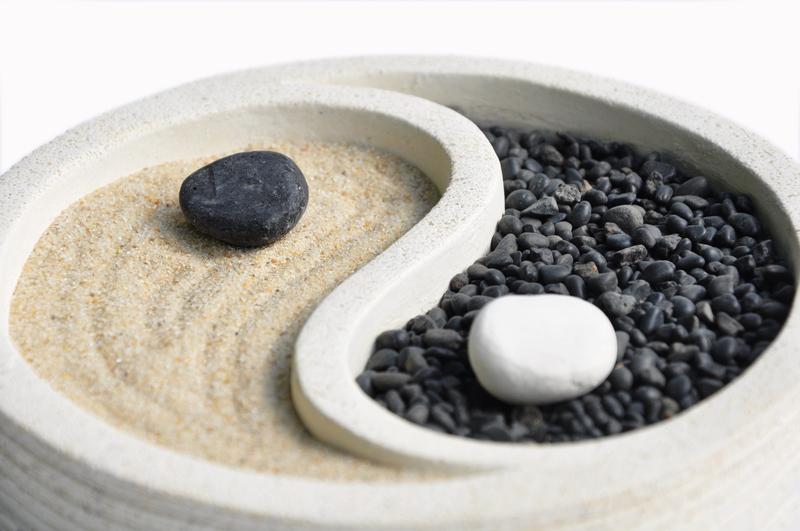 Yin Yang and the Five Element Theory and how they relate to the seasons and the organs. Oh, and the organs have meridians and you need to breath up this meridian and down that meridian so I have been trying to learn more about the meridians. I even bought a model with the meridians and the acupuncture points printed on it so I could learn where the meridians run and pick out the points when I see them mentioned. It’s like trying to memorize a road map but I found that if I just study the yin and yang meridians of the organs related to the season we are in it’s much easier than learning them all at once. With each step I find that there is another door to step through in my quest to learn more about qigong and to deepen my practice. So yes, please. Anything that you can pass along to help us understand how all of this works together is much appreciated. What a great explanation. The meridians are amazing; I now think I may have felt one of the meridians in my left forearm; it was a very fine warm line, quite fascinating. But I tuned into it and it disappeared. As everyone above said, your explanations are always very clear. I’ve studied at college, university and several etcs. and I can say, without reservation, and without being sycophantic, that you are the best teacher I’ve come across. Yes, we need to know more about the meridians. As soon as I heard about about the institium, I immediately thought of qi flow. My hypothesis is that the interstitial fluid flows more freely when the parasympathetic nervous system is activated. What do you think? I have learned ‘lifting the sky’ from you in the depression/anxiety course, and that seems to work very well for qi flow. I have tried pushing mountains and carrying the moon from books and online sources and getting bad results, such as aggravating existing blockages in the conception vessel, do you think I am just doing the exercises wrong or should I just stay away from them and continue Lifting the sky? I agree with the rest. I am always interested in learning more, we all need a review what we have already learned. the only way to get better with my Qigong is to study andpractice. I’m restraining my wild enthusiasm, Sifu Anthony! Yes, please write more for us, in your inimitable way, tying together your lifetime of experience sorting out the thousands of years old traditions and wisdoms out of qigong, TCM, five element theory, and chai tea. Namaste. This is absolutely fascinating! I would love to read more about meridians and how the Qi flowing through them effects our bodies. Yes please write more on this subject. I’ve tried to understand the meridians before but many writings about the subject are dry and I have to say boring! Your explanation is simple and clear as if you have distilled the essence. More please! Coincidence, because I wrote about this very topic earlier today in response to your last 101 class in the first section about feeling the qi. Yes, I am extremely interested in understanding how all of this works. Rightly or wrongly, I am thinking that comprehension and the ability to visualize these dynamics will help me with practical application and could serve to enhance what you refer to as “skills”. As far as this knowledge being unverified by contemporary western “science”, my response is: “So what?” They know a little about a few things, how to make bombs, etc. And so much of their applications have disastrous side effects for the individual and the planet as a whole. Their knowledge of medicine is confined mainly to symptomatic relief, cutting, and now they are moving into replacement parts. But none of this is preventative or dealing with fine-tuning and energy- gathering, which has been understood and practiced by the medical model you are sharing. However they are very competitive in the sense that they view medicine as a bottom line business, so there may be some strategic opposition as qigong becomes more popular. I really hope that you are putting some of this understanding into your up-coming book. Or, perhaps a separate companion book. If nicely presented, it could be a best-seller. Titled something like: “Medicine Without Medicines”. Thank you for this. Being brought up in the west, and having taken a truckload of biological courses in my student years (stuff like biophysics, physiological psychology, biochem, etc. ), I finally concluded that it wasn’t giving me the understanding I was looking for. What you are teaching, and the body of ancient knowledge it is based on, is practical, extremely economical, wholistic, and generates a great deal of hope in me. Yes! Let’s have more of this kind of stuff. Really interesting! Would love to read more around these topics. Great content, and as always, so informative and clear! I was actually mentioning this blog to my wife the other day and expressed my sadness at a lack of fresh content, so this was a nice coincidence! Thank you for this Sifu Anthony. I’m guessing that between you, you can cover the detail of both individual meridians and also of the 5 elements (started but not yet complete) in a way that complements each other and gives a wide & full understanding to students at a pace that is comfortable to them. I’ve just finished reading your blog and found it very interesting. I practice Tai Chi Chuan and Qigong. I am also nearly qualified as a Bio-energy therapist. What I find fascinating about your blog is the way you inter link all. The blog is so concise with many side roads on related articles that it is going to take me some time to read it all. That being said I’m really looking forward to it and when finished, I’ll definitely check out some of your courses. My blog now has over 3 books worth of material…so you’re right that it may take you a bit of time to get through it all! Yes!, Yes!, Yes! Would really be interested in reading more. However, I think this should be another course, Qigong 301. This could cover the meridians, the governing vessels and flowing into the small universe. This is so helpful in understanding the ins and outs of qigongs. By the way, how is the book coming along? Are you getting closer to a release date? Thanks for this! This is exactly the kind of article I would like to see more of! I suspect I am not the only one out there who likes to know what is going on under the hood, and who wants to understand the connections between qigong, Chinese medicine, acupuncture, philosophy and more, so that a total picture emerges. Whenever I read a set of instructions on how to do qigong, I always want to understand its precise energetic effects, and this information is usually not provided. I think it helps a lot to develop sensitivity if you know that, for instance, lifting the sky affects the liver – you get the sensation by doing the exercise, and you internally absorb what it feels like to work with that meridian. I would also like to see articles on how to resolve severe issues like qigong sickness – what steps were taken in specific cases? Thank you again for providing outstanding information. Thanks for the great post. What is the difference between the sinew channels and the primary 12 meridians? In your Qigong which ones are you working on? It’s such a joy to be able to read about this subject in such detail and it certainly puts Qi and Meridians in to perspective, I am dealing with some meridian blockages just now, I managed to eliminate and clear one issue on my very first professional live class, however since then I have brought old wounds and related pain to the surface and because of this I am seeking to expand my knowledge. I have also read about this topic several times before in books and in various other online information and resource sites. I do believe that Qigong is the ultimate self healing method for clearing energy blockages which could be causing pain or discomfort in the body, however with that said Qigong has had an overall tremendous effect on my physical, mental and emotional well being too. I have experienced excellent results with Qigong just as many people have but my biggest challenge right now is to make it a daily habit and not just something to do every once in a while. Thank you for your great insights and wisdom on this topic.